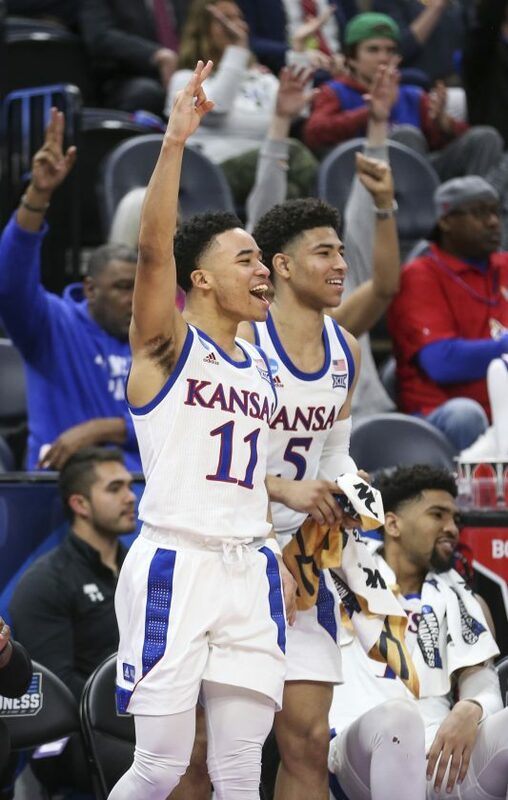 Salt Lake City — Kansas freshman Devon Dotson got a chance to show off his 3-point celebration during his NCAA Tournament debut. Late in the second half, Kansas was leading Northeastern by 30 points when Dotson canned a spot-up triple from the left wing. 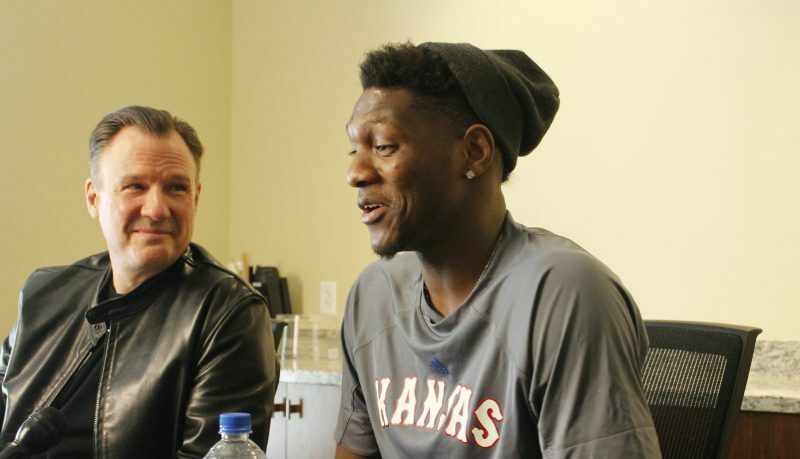 Dotson’s routine reaction was brief but to the point during KU’s 87-53 win in the opening round of the tournament Thursday afternoon at Vivint Smart Home Arena. Dotson stuck his tongue out for a moment, something he has started doing after each successful 3-pointer as of late. There are conflicting reports about when Dotson’s 3-point celebration began. 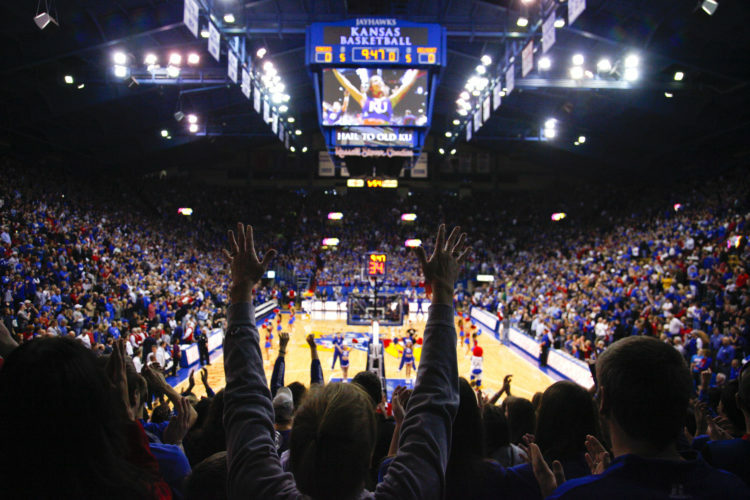 Sophomore Marcus Garrett thought it was introduced at a home game during Big 12 play, while freshman Ochai Agbaji first saw it during KU’s win at TCU on Feb. 11. 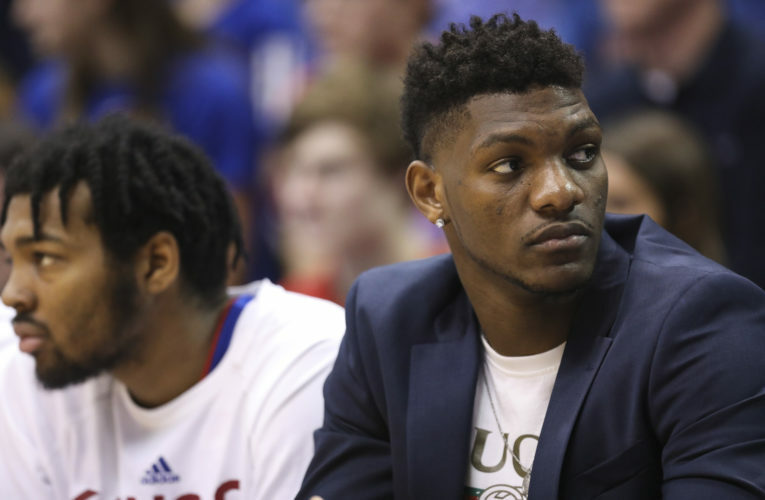 Regardless of when it was formed, Dotson’s animated response is a sign of his growing confidence as a freshman point guard for the Jayhawks. 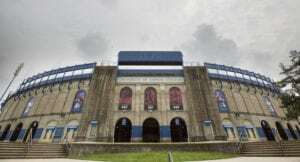 But that will be put to the test when the KU rookie squares off against Auburn junior point guard Jared Harper in the Round of 32 at approximately 8:40 p.m. Saturday. Harper is second on the team in scoring with an average of 15.7 points per game. “I just have to keep him in front at all times, I can’t play behind him,” Dotson said. “If I gamble or make a mistake, he will take advantage with his quickness. I feel like I can take advantage if he makes a mistake on the defensive end. In a lot of ways, though, these two point guards are similar as floor generals for their respective teams. Both Dotson and Harper rely on their speed, showing their ability to get to the rim with ease. Dotson has scored 80 points over his last five games, netting 21 of his 27 baskets via shots at the rim over that span. 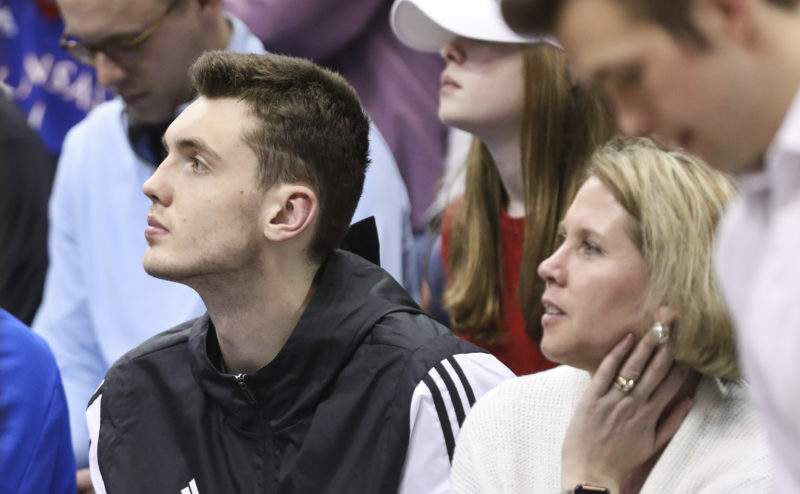 Dotson has shouldered more responsibility since KU employed a starting lineup that features four freshmen back in early February. In the 12 games since that switch, Dotson has scored at least 13 points all but three outings. Harper, meanwhile, has been the focal point of Auburn’s attack for much of the season. Harper has a team-best 24.7 usage rating, and has scored in double figures in 19 of his last 22 contests. Earlier this year, the NCAA Twitter account released a story that featured the five fastest point guards in the country. That list included Harper, but it did not feature Dotson. Neither point guard was ready to admit who was faster during Friday’s media availability. 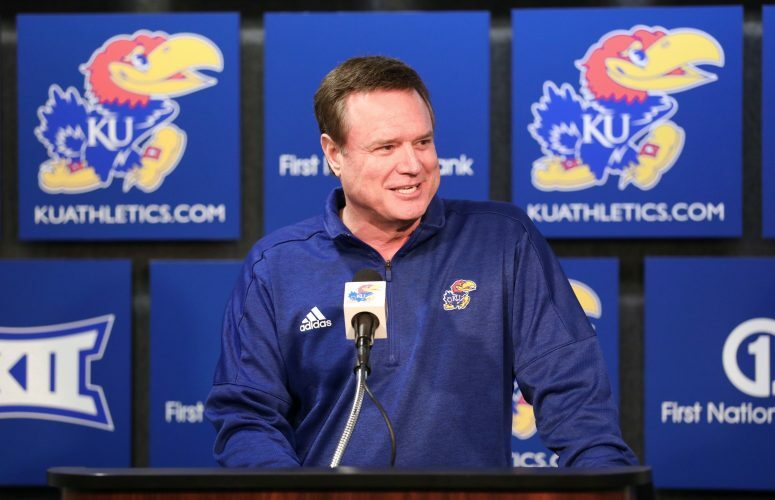 But that could be determined Saturday night, which might have an impact on which team is headed to Kansas City for the Sweet 16.